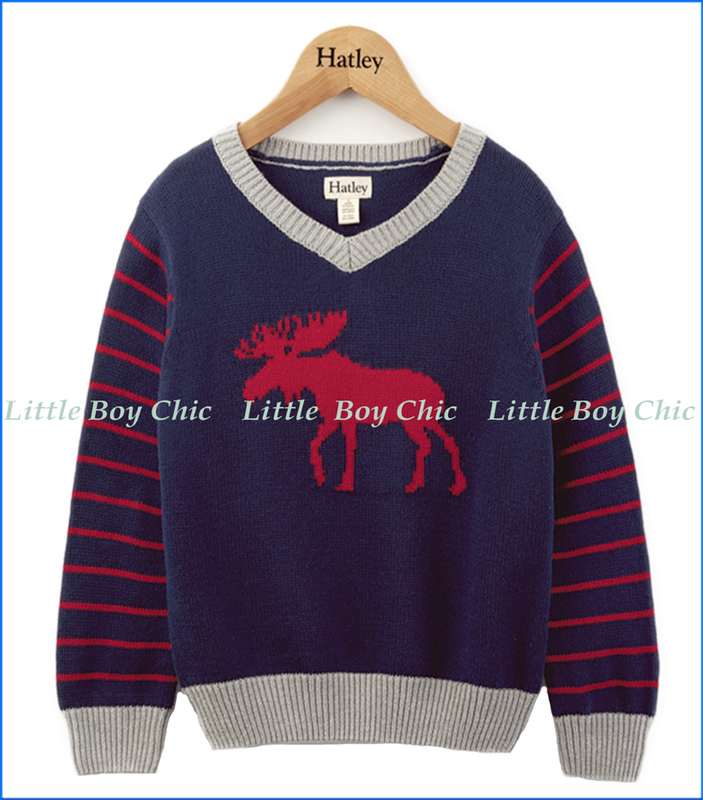 No moosin' around, this pull over jersey knit sweater is eye catching. Contrast V-neck. Long sleeves with red stripes and elbow patches. Ribbed hem and cuffs.